ICN, active in Belgium and in the Grand Duchy of Luxembourg stands for exceptional projects at outstanding locations and bundles over 25 years of real estate development and investment in both countries. The company has focused on discovering unique opportunities and turning them into value. ICN’s unique skills and structure allow it to find hidden gems both for end-users and investors. ICN’s mission is to be a reliable partner that fully invests all of its knowledge, experience and resources in developing exceptional projects that perfectly meet customers’ needs, finding an ideal balance between quality and price. In order to match the company’s current activities and positioning, a new name and logo were developed in 2016. 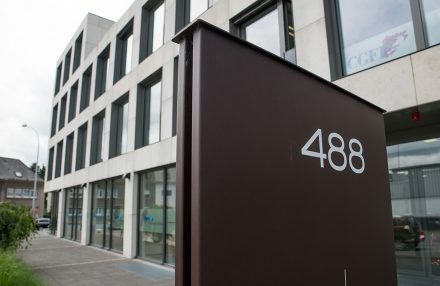 The two main companies within the ICN Group are ICN Development, active in real estate development in Belgium and Luxembourg and ICN Securitization, offering investment opportunities in projects developed by ICN Development. Other group companies include Immo Noord real estate agents and partnerships with constructors. ICN consists of a team of highly motivated and capable professionals who, first of all, listen. A project can only be successful if it perfectly matches the expectations of its users. The ICN team approaches each project with a flexible attitude in a spirit of collaboration. Only by joining forces an exceptional result can be obtained. 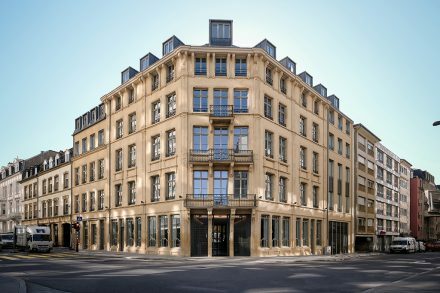 One of its top current projects is Fënsterschlass, which is situated in the heart of the city of Luxembourg, in collaboration with Christian Bauer Architects. Its most unique feature is the protected historical façade that is entirely preserved and restored in its original state. An extension of this historical building in the Rue des Bain, is also foreseen and this in collaboration with Tatiana Fabeck Architects. The realization of this project should be finished by the end of 2020. A project starts with an outstanding location, but there is definitely more to it. the most capable sub-contractors and the most sustainable materials. discovering opportunities which become more rare by the day. An excellent knowledge of the business is complemented by a personal and hands on approach. 488 was one of the first projects in Luxembourg and the first LEED GOLD certified building (low energy consumption and emissions. 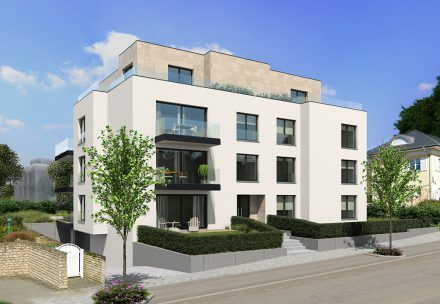 The combination of a light natural stone with large windows and tomorrow’s technology enhances the overall construction and design of this development. Furthermore it is strategically located close to all the amenities offered by Luxembourg City and offers 4,500 sqm of offices and ample parking spaces. This project was accompaigned by M3 Architectes. Parc Rischard is a unique project in the city of Luxemburg with outstanding connections to the surroundings. It includes exclusive facilities and a landscaped park surrounded by luxury residences. 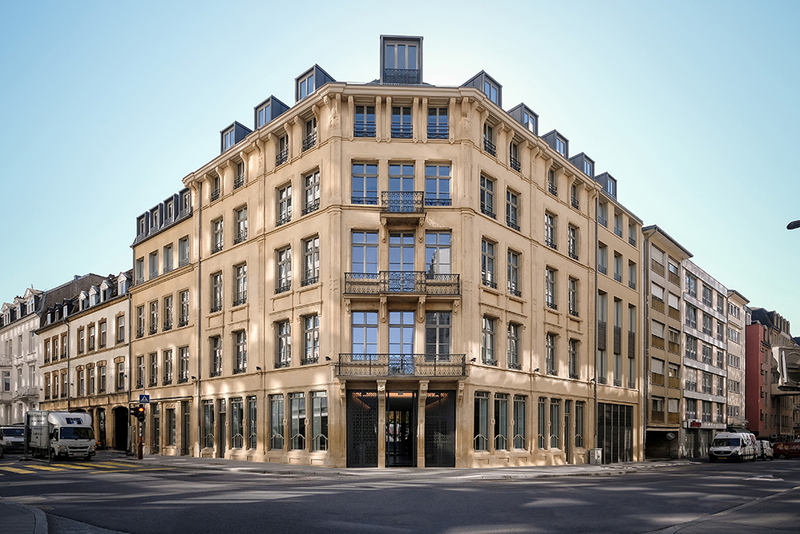 The listed building Maison Rischard has a rich and illustrious past, forming an integral part of Luxembourg’s cultural and historical heritage. As result, new life has been breath into this historical house and all residences are carrying the first names of the descendants of the Rischard family. 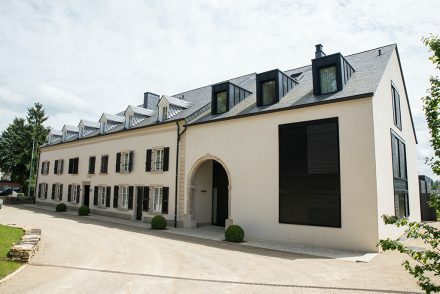 Besides the renovation of the monumental and protected historical villa, three new luxurious residences were built in collaboration with Tatiana Fabeck Architects and another – Résidence Edouard – was delivered in December 2018. In 2021, two more residences – Huguette and Charles – will be delivered. 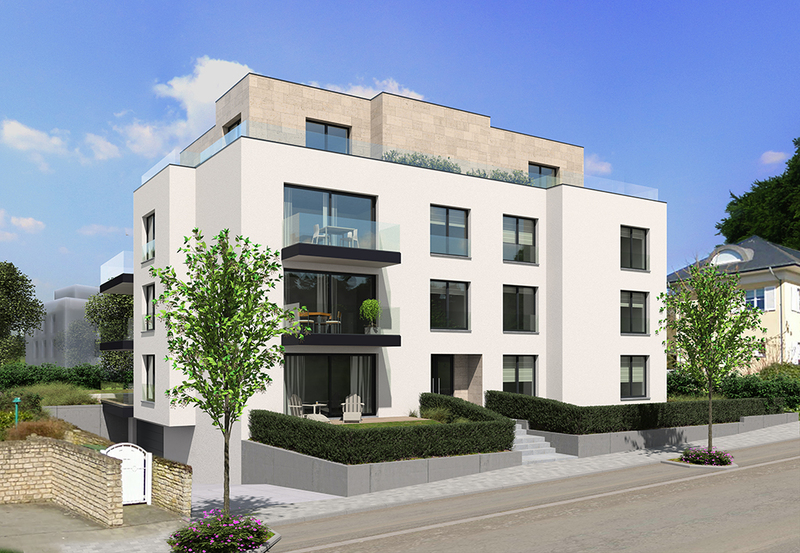 ICN is developing a new project in the Rue Vauban, located in Pfaffenthal, the valley at the beginning of the Boulevard Royal in the City of Luxembourg. The new elevator connecting ‘uptown’ with ‘downtown’ gives a very good access to the City Centre, the site is approximately 500m from Hotel Royal. As the land is located in the ‘zone protégé’ of the city of Luxembourg, Tatiana Fabeck Architectes is currently working on a plan which will be approved by the City of Luxembourg.